Lately, I’ve been interested in how technology shapes how we experience culture, specifically art, music, and literature. It may have something to do with the start of summer, which in New York means gallery visits, free music shows, and outdoor screenings as just a small part of the abundance of accessible culture available to us. It’s interesting to see how over time, the presence of culture hasn’t change, but the ways we access it and how it’s available to us has. All of my favorite things this week relate to the shifting (or not shifting) of culture. I recently joined a film club through a college friend and my first meeting was about the movie “A Hard Day’s Night,” a mockumentary / social realism experiment by director Richard Lester and The Beatles. I was amazed that a movie created in 1964 provided a commentary about media affects the perception of creative, cultural icons. If you haven’t watched it, I highly recommend it, whether you are a Beatles fan or not. 2. Reading Rainbow is back! Reading Rainbow on PBS was one of my favorite shows as a child. 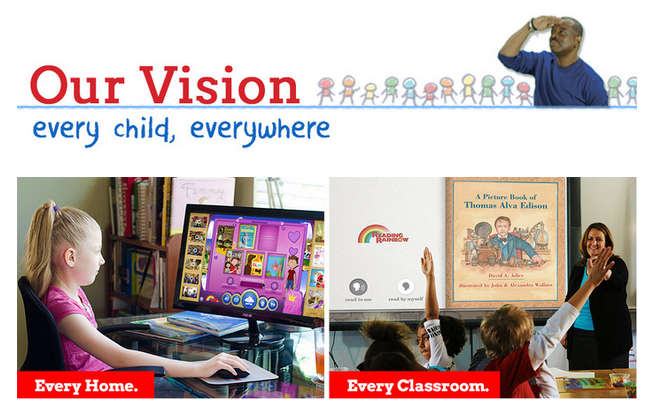 I was so excited to not only see LeVar Burton’s passion for making Reading Rainbow available for every kid and his brilliant Kickstarter campaign, but it doubled it’s $1,000,000 goal in just one day. Way to go internet! 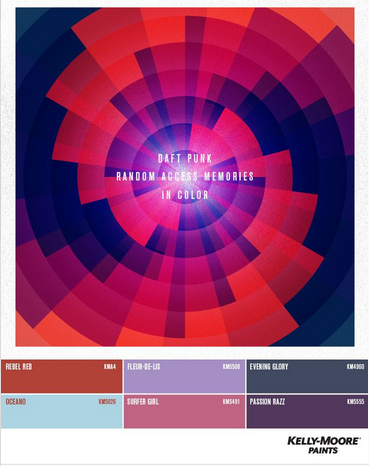 I’m obsessed with Kelly-Moore Paints’ guide to creating color palettes inspired by your favorite music. The color palettes are based on the emotion they felt while listening to the song. Check out how they did it here. 4. 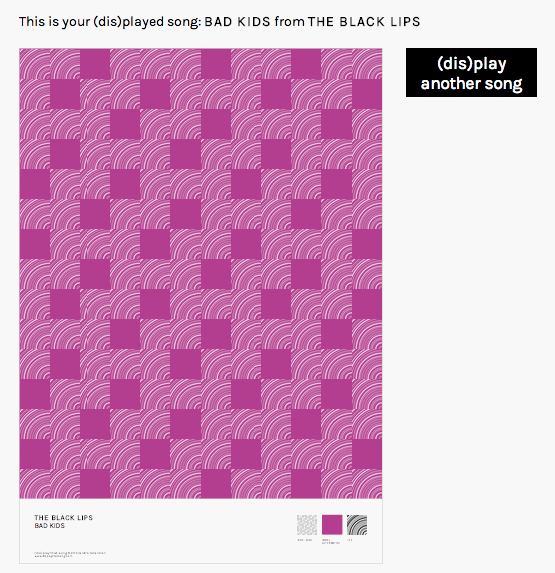 Have you ever wanted to create a pattern out of your favorite song? No? Me neither, at least not before. However, Display That Song might make me change my mind. 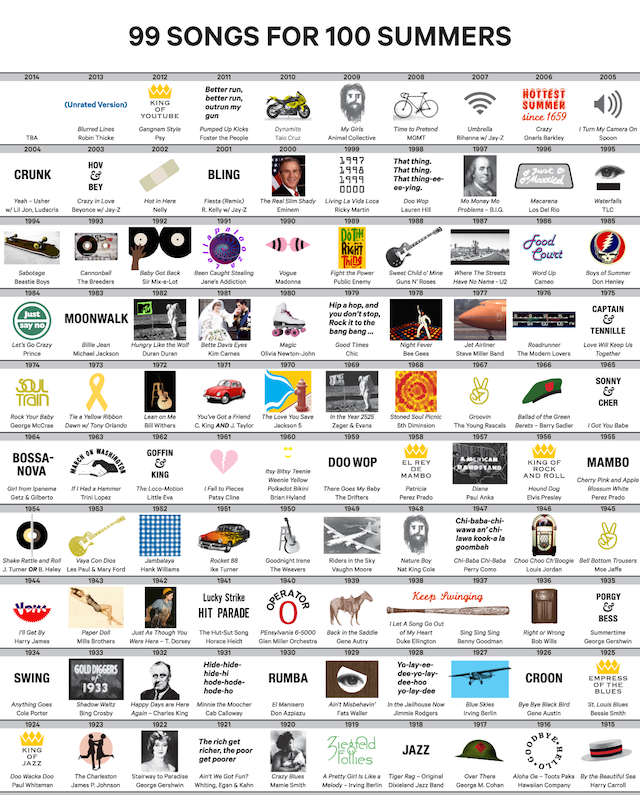 Designer Phillip Niemeyer of The Boston Globe has put together in a single infographic what he considers to be the most iconic songs of summer by year for the last one hundred years. This is just calling to be one epic Spotify playlist. What’s awesome is that while music has changed, the idea of that iconic “summer song” hasn’t.